"The Ronald McDonald House gave me the peace of mind to ensure my child's health and that there weren't any more pressing dental concerns," shares a family. 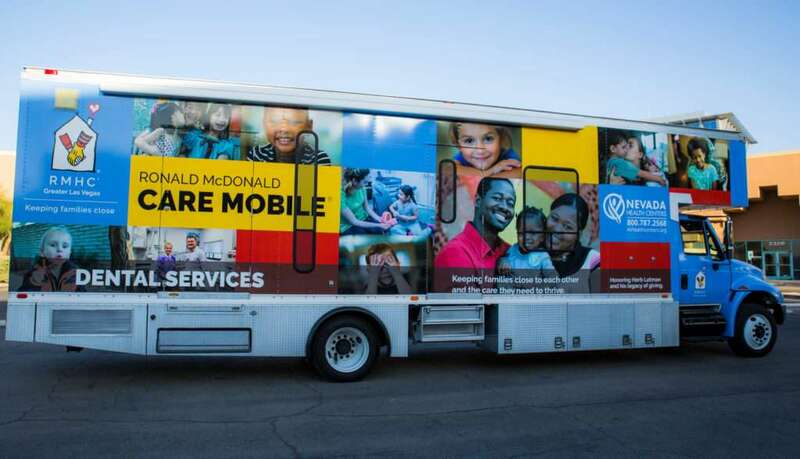 In an effort to provide access to dental care for underserved children in rural Nevada, RMHC® of Greater Las Vegas, in partnership with Nevada Health Center’s, launched a Ronald McDonald Care Mobile® program - a mobile dental unit that delivers care directly to children in their own neighborhoods. Research indicates that Nevada ranks 49th in the nation in access to dental care and experiences among the highest rates of decay in the nation. Children who don’t receive preventive and primary care are at greater risk for serious and long-term health problems. Pain from dental disease restricts a child’s ability to eat, affects their nutrition, sleep patterns, ability to play or participate in sports, and experience healthy social growth and development. The Ronald McDonald Care Mobile® program directly addresses these issues. The program serves Clark, Elko, White Pine, Humboldt, Eureka and Lander counties in Nevada, making scheduled visits to accessible locations like schools, churches and community centers. Thousands of children who would otherwise go without dental care are currently being served through the Ronald McDonald Care Mobile® program. The vehicle was designed and built specifically for the purpose of providing dental care, and houses two dental hygiene / treatment rooms, a lab with x-ray capabilities, and reception and records area. 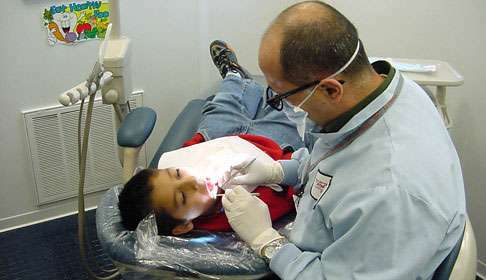 A variety of services are offered through the program, including restorative and preventive dental care; dental hygiene and healthy lifestyle education; referrals and follow-up treatment. The program also helps eligible families obtain government-assisted insurance. The Ronald McDonald Care Mobile® is fully staffed with dentists, dental hygienists and support staff. Nevada Health Center facilitates the program, overseeing the scheduling, staffing and maintenance of the vehicle. They also have their own mobile dental units in Las Vegas. For information on the Ronald McDonald Care Mobile's schedule, or to schedule, please visit the link below.